Collection Information Tickets must be redeemed at Wild Wild Wet ticketing counter, kindly present your iVenture Card. Kraken Racers - Feel the adrenaline as you zip down the slide lanes on Singapore's first four-lane mat racer slide! Bring competitive thrills to a whole new level today! Vortex - Get sucked into a world of extreme turns and curves at absolute break-neck speeds in Singapore's first high-speed 360° extreme loops ride. 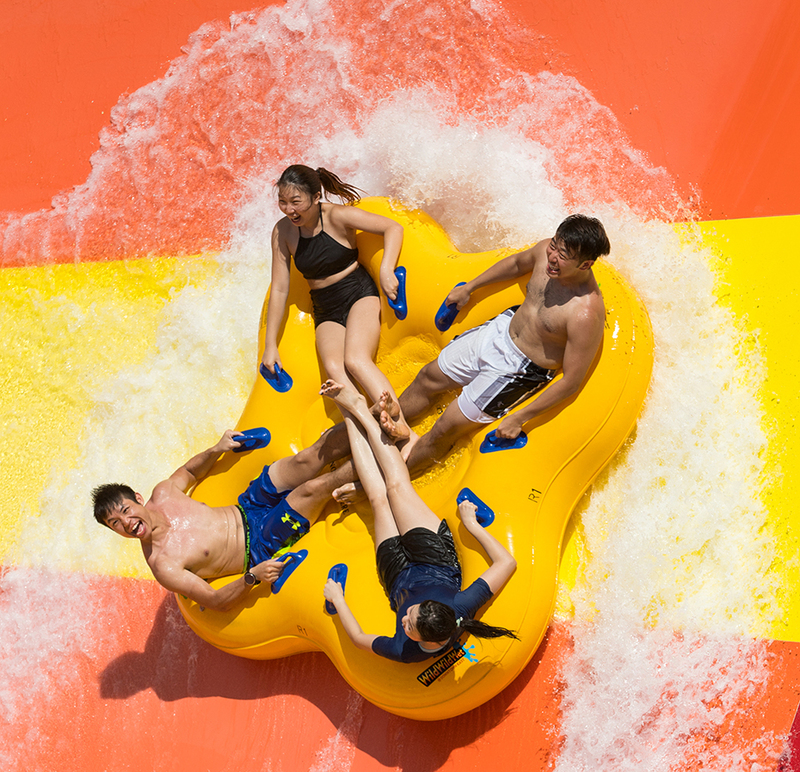 Free Fall - Take the plunge down a near vertical drop at speeds of up to 50 feet per second on one of Asia's longest free fall water slides! Royal Flush - Asia' first hybrid ride featuring both the Behemoth BOWL40 and TornadoWAVE! Holler your lungs out as you drop into the ginormous bowl and take the curves at crazy speeds! Kidz Zone - Give the young ones a taste of a wilder world at the all-new kids' water paradise that is filled with exhilarating pint-sized versions of the big rides! Take the East-West Line and alight at Pasir Ris MRT Station (EW1) to transfer to Bus Service 354 at Pasir Bus Interchange. Alight 2 stops later (Bus Stop Number 78099 – Aft Loyang Gdns) and walk towards Wild Wild Wet, which is in the same direction as Downtown East.